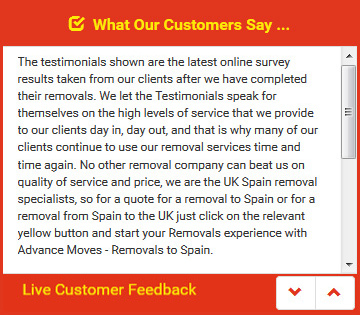 Removal Spain to UK should be relatively pain free, and using a professional, reliable removals firm will certainly help with that. However, there are accidents that can happen at any stage of the move, and some could be more serious than others. Packing can even be dangerous. How can you make sure you are safe? In order to keep you, your belongings, and the team of removers who have come to assist with your removals to Spain safe, you will need to think ahead. The loft is an important area of the house to think about, for instance. Many people will choose to take their packing boxes into the loft and fill them from there. This can be dangerous because most lofts are not fully boarded, and one false step could mean that you fall through the loft floor. Teams offering removals from Spain to UK or vice versa will not be able to go up into your loft for insurance reasons, which shows how potentially dangerous it could be. The best way to pack your loft is to bring the items down and pack them on a lower floor. This will mean more journeys up and down the ladder, but will be safer in the long run. Books are another potential problem. Although they pack neatly into boxes, and although they are not very heavy on their own, there is risk of over-packing. Anyone attempting to lift such a box could hurt their backs, and if it were to fall, it could cause a lot of damage in the van. Take advice on removal Spain to UK or vice versa by speaking to Advance Moves. Our excellent reputation and knowledge of international moves is exceptional � you can find a quick quote service on our website at http://www.advancemoves.com/. If you have any queries, please get in touch on 0871 218 0612 or email info@advancemoves.com.